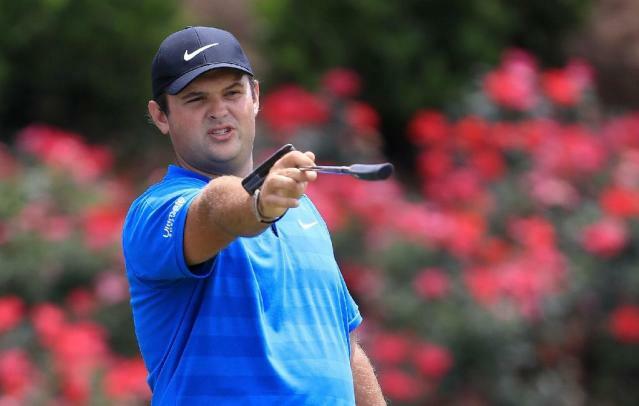 Washington (AFP) - With a flamboyant style and emotional boldness, Masters champion Patrick Reed promises to bring excitement to September's Ryder Cup and possibly the first US victory in Europe since 1993. The 27-year-old Texan nicknamed "Captain America" had the audacity to put finger to mouth and shush European fans during a match in Scotland as a rookie in 2014. He waved his arms to implore US cheers two years ago in an emotional Cup singles victory over Rory McIlroy in an American home Cup triumph. "It's such an honor. When it comes down to Ryder Cup, you are playing for your country," Reed said. "You have your teammates. It's a whole different beast." It's one that brings out the best in Reed, who led the US squad with 3.5 points in each of his prior Ryder Cup appearances. While final rosters will not be settled until September, it's hard to imagine a Ryder Cup lacking Reed's fiery intensity. Reed admits the Ryder Cup, and the 2024 Paris Olympics golf event set for the same Le Golf National course, lurk in his thoughts. "Well, yeah, of course. It's always in the back of your mind," Reed said. "The easiest way to make those teams is just focus on what you're doing right now. If you prepare how you're supposed to every week and you play how you're supposed to every week, come 2020, 2024, you're going to be in there. You're going to make the team. "The more you start thinking ahead is when you lose track of what you're doing now. All of a sudden you're not going to improve." Reed formed a formidable combination with three-time major winner Jordan Spieth in the past two Ryder Cups and US Presidents Cup triumphs in 2015 and 2017. They figure to reunite in France as the Americans try to avoid a 25-year win drought in Europe. Reed was the first PGA Tour golfer to win three times before playing his first major, a feat he achieved at Doral in 2014 after which he declared himself a top-five player in the world. He's never been able to prove it in the world rankings, reaching as high as seventh in the rankings, but after winning his first major title last month at Augusta National, Reed is on a roll that might make his boast real at long last, with four other top-10 finishes since mid-March. Reed called his final round at last month's Masters "the hardest mentally a round of golf could possibly be" in contrast to the Ryder Cup, which adds national pride and teammates to help carry the load. "At The Ryder Cup, it's just a totally different type of pressure. You go to a Ryder Cup and you feel like you have a whole nation on your back," Reed said. "If you win or lose your match, you still have a bunch of other guys there that could pick it up." Work ethic and "be yourself" confidence are lessons that have been reinforced by Reed's idol, 14-time major winner Tiger Woods. "You just have to feel like your head is strong when you're playing, that you can take on the world -- that's the biggest thing I've probably tried to take from him," Reed said. "I've put in the work," Reed said. "The biggest thing is now just to go out and play stress-free, just play fearless, go and attack the golf course." Reed has far more milestones he hopes to achieve, including next month's US Open, the next major showdown. "Really it's go out there and keep on getting myself in contention and trying to win some more majors," Reed said. "Winning takes care of everything."